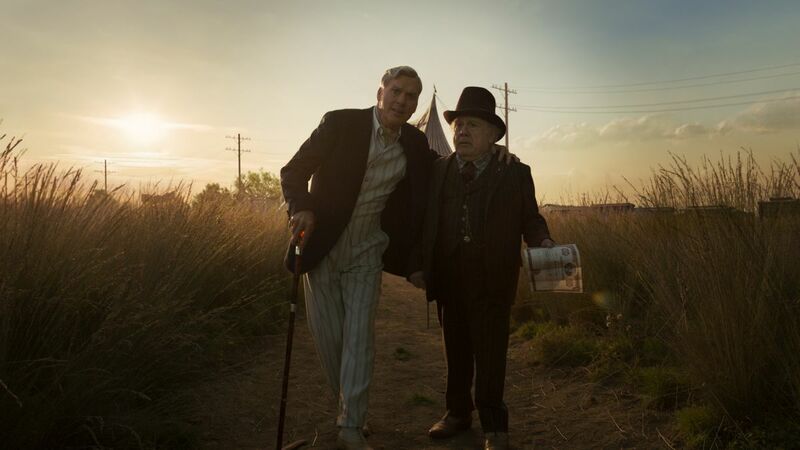 Aaron Neuwirth reviews Tim Burton's live-action reimagining of Dumbo, which features the director's signature style and impressive visual effects, but little else. There’s a joy to have from seeing an elephant take flight. Whether hand-drawn or created with computer-generated imagery, it captures the imagination. 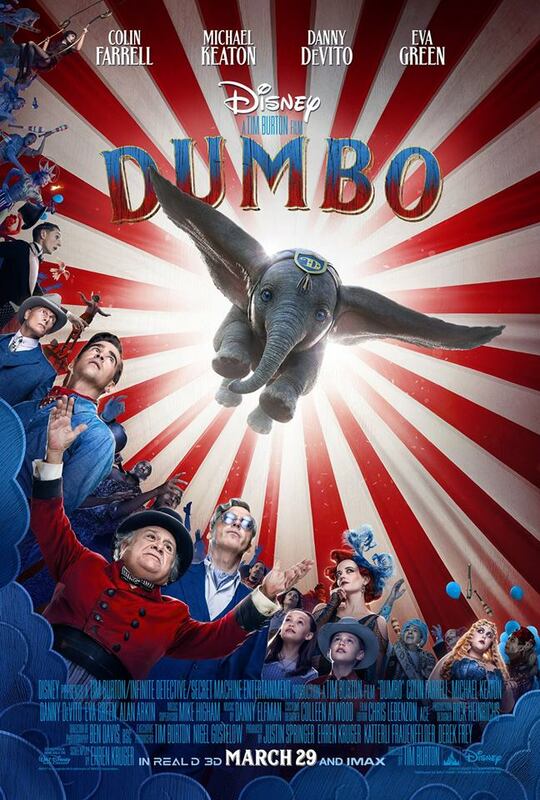 It’s a shame that feeling couldn’t be held throughout Tim Burton’s live-action reimagining of Dumbo. While visually compelling in terms of production design and special effects, nothing that is expanded on makes up for lack of heart. The actors all do their job, and many of Burton’s regulars show up to deliver what one would expect for a film coming from the signature imagination of the influential filmmaker, but it still ends up feeling like Disney just wanted to put on a show instead of delivering the real deal. To its credit, Dumbo knows better than to simply inflate what took place in the 64-minute, 1941 original. The first third of the film is devoted to recreating the main beats of the animated classic (minus the trippy dream sequence and controversial crows), before moving into completely original territory. There is also the addition of several human characters, who, for better or worse, add something to balance out the non-speaking animal who serves as the spectacle. We have many familiar Burton movie faces here. Danny DeVito is Max Medici, a down-on-his-luck ringmaster looking for a big score. Colin Farrell is pretty terrific as Holt Farrier, a WWI veteran, who has returned to find everything he’s had flipped on its head. Michael Keaton is, frankly, quite bad as a seemingly benevolent entrepreneur, V.A. Vandevere, who wants to bring Max’s circus into his famous Dreamland. 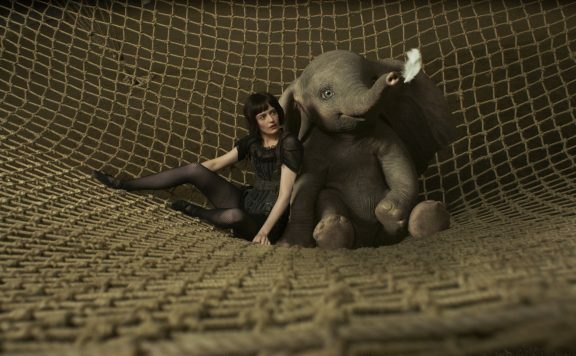 Eva Green is Colette Marchant, a French trapeze artist who can see the innocence in Dumbo and those who share his spirit. And you have a couple of kids (Nico Parker and Finley Hobbins), who do their best help Dumbo via magic feathers and wide-eyed looks. Even with the expanded plot, the film is still pretty straightforward. 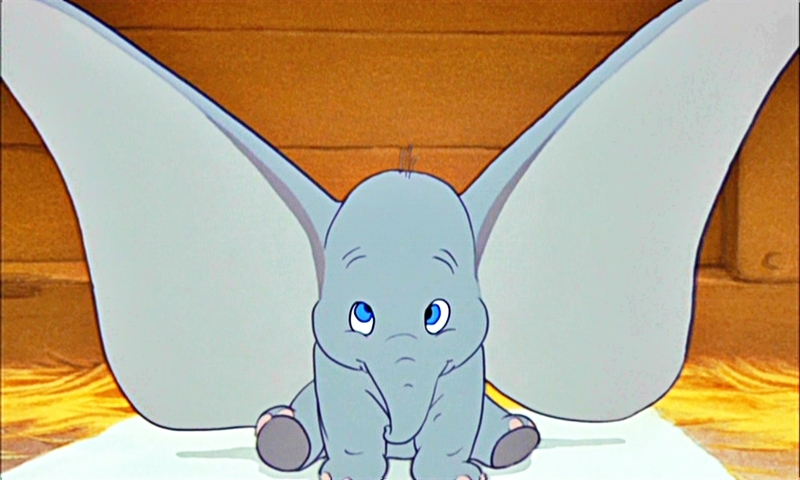 Dumbo is a newborn elephant with oversized ears that give him the ability to fly. 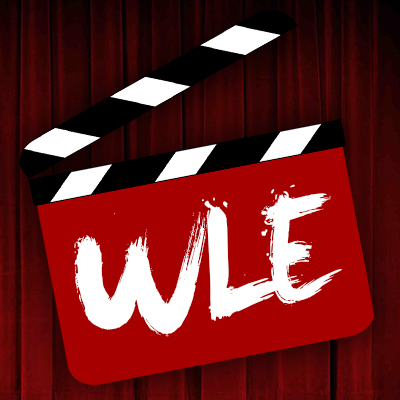 He’s able to overcome those who laugh at him, impressing Keaton’s Vandevere enough to become a new addition to his show. There are various subplots concerning the other human characters, as well as the personal goal for Dumbo to be reunited with his mother, Jumbo. It’s easy to see why Burton would want to jump onto a Dumbo remake. The character is an outcast, amongst circus performers; the kind of characters also usually seen as outcasts. This sort of concept is right in Burton’s wheelhouse, which may be the problem. Much like Alice in Wonderland, perhaps Burton is too comfortable here. Sure, he probably worked hard on sketching out concept art for his takes on all the various sets, characters, and whatnot, but the film is still missing that unique quality that brings life to Burton’s better films. From a visual standpoint, you get that signature style. 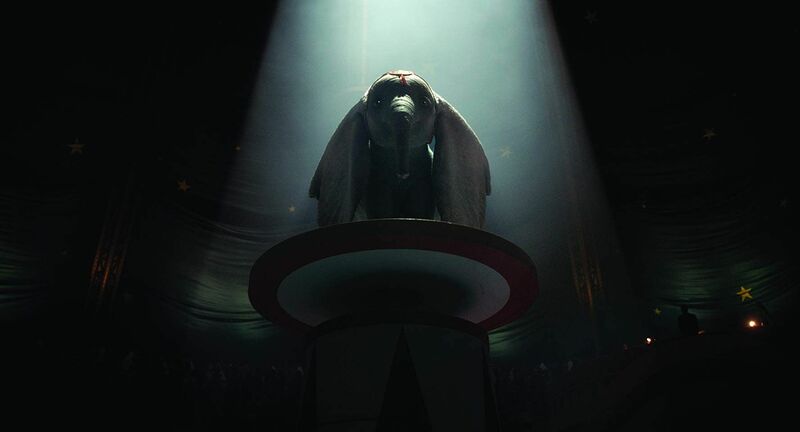 The various circus sets are realized well-enough, and the filmmaking team seems to have the right understanding of how to best show Dumbo. The elephant looks excellent throughout, enough not to have me thinking about how it’s a visual, as opposed to an actual flying elephant. Still, does the film need to be so muted? By the time we get to the epilogue, color has suddenly appeared in full force, and it felt like a whole new film, one with a more aggregable visual tone that I would have been happy to see. 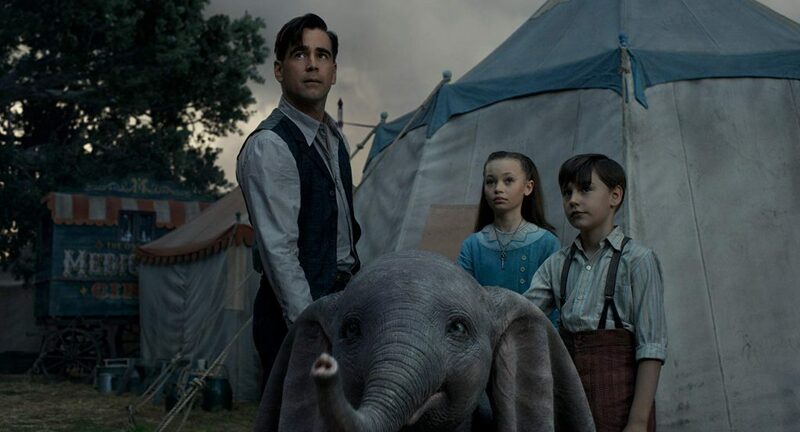 Dumbo may be more in line with (the much better) Pete’s Dragon remake in terms of the scope of the story, but the visuals didn’t need to reflect that so closely in the process. I am of two minds concerning the most interesting aspect of Burton’s Dumbo. On the one hand, there’s something quite bold about a Disney-produced film that serves as an anti-corporate fable. That said, it took a reported $170 million budget to bring this film to life so a studio could pat themselves on the back for bringing in a mass audience to enjoy what must be a self-aware piece of work focused on a famous Disney character biting its creator’s hand. 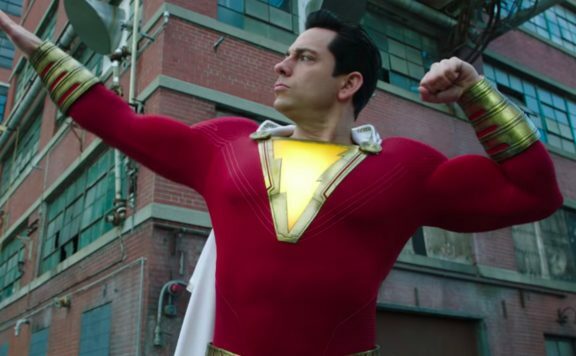 Trying to resolve this angle is a worthwhile endeavor, as it at least brings some constructive thought to mind, which is more than what could be said about a film that so clearly misses the mark on being more heartfelt. Having revisited the original film for the first time after a couple of decades, one can understand why it’s an emotional favorite for many of all ages. That film’s structure is so simple that it’s hard to not react to the moments determined to generate certain feelings. Whether it involves bullying or the separation of a child from his mother, you care about the circumstances. Burton’s Dumbo doesn’t create that feeling. It wants to, as we have enough close-ups to suggest which moments the audience is meant to feel something, but the drama never registers as strong as it should. I may have believed an elephant could fly in this picture, but I never felt I wanted to cry. That’s not necessarily a deal-breaker, but for a film that had a lot of potential, let alone the joy of seeing Burton reunite with some of his favorite actors, it would have been nice to get a stronger result. 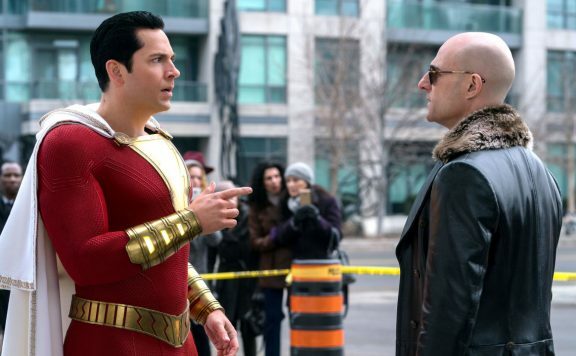 Even composer Danny Elfman seems more content to find echoes of some of his greater works, rather than fill in areas where the film is lacking. As one who is happy to champion Burton (he has many more hits than misses), it’s disappointing not to see something more magical here. Dumbo is not a soaring success. It’s often stunning in its presentation, but this is an elephant I may forget.